This Friday, the D.C. Circuit Court of Appeals will hear oral arguments for yet another appeal of the FCC’s Open Internet rules. 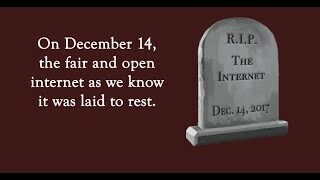 This time, the gloves are off as the Commission’s most recent action, the Open Internet Order of 2015, saw the FCC do what Public Knowledge has said it should have done all along by reclassifying broadband service providers as common carriers under Title II of the Communications Act. This historic decision received thunderous applause from innovators, tech companies, and millions of consumers alike, because it finally gives the FCC a solid legal basis for protecting broadband users. As expected, this did not sit well with the incumbent Internet service providers (ISPs), some of whom don’t like being told they can’t play fast and loose with their consumers. They sued the FCC, and now, after months of poring over arguments from a variety of parties to the case, the court has set a date to hear from those parties face to face. Important point for the uninitiated before we get into the details: there will not be a final decision this Friday. This is just the part of the case where judges ask their most pressing questions of the parties, after which they will deliberate for several months before issuing a final opinion, most likely sometime in the earlier part of 2016. Corner 1: Petitioners: The Internet providers who are suing the FCC, protesting the Open Internet rule. In this corner, leading the day we have the usual collection of incumbent phone and cable providers. 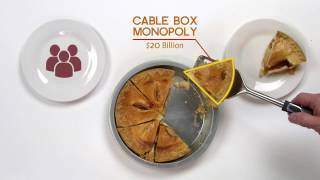 This includes US Telecom (USTA, trade association for telecoms such as AT&T, Verizon and CenturyLink), the National Cable and Telecommunications Association (NCTA, trade association for cable operators such as Comcast, Time Warner Cable, and Charter) and CTIA – The Wireless Association (trade association for large mobile providers such as AT&T Wireless, Verizon Wireless, and T-Mobile). A second set of petitioners, led by Alamo, also filed a separate brief, and so we’ll see them come up in the third segment of the arguments. Intervenors: A collection of edge providers, backbone providers, and public interest groups like Public Knowledge, all parties to the case who filed a joint brief in the FCC’s defense and are allotted time at oral argument to say their piece. Structure: To keep things in order with so many arguments and issues, the oral argument is divided into four topical “argument segments,” with time allotted per segment for petitioners, respondents, and then (in relevant segments) a briefer time for intervenors. Whether the arguments stay within the time allotted or go longer is anyone’s guess, but the three D.C. Circuit judges hearing the case have discretion to go pretty much as long as they want, so buckle up, buckaroos! Essentially: Did the Commission have the authority to reclassify broadband Internet access providers as common carriers under Title II of the 1996 Communications Act? This is the threshold question. Because of the court’s previous ruling in Verizon, the FCC cannot implement true open Internet rules without reclassification of broadband providers under Title II. (You can check out the whole case history in Harold Feld’s blog post from yesterday.) It follows that, if the Court disagrees with the FCC’s reclassification, much of the Open Internet order is in peril. When the FCC first held that broadband was an unregulated “information service,” the Supreme Court upheld it, in a case called Brand X. But the Court didn’t uphold the FCC because they thought it was right, but because of Chevron deference. The court held that what it means to “offer” a telecommunications service is ambiguous, and that the FCC gets to look at the record and apply its policy judgment to decide exactly what that means. (In a dissent, Justices Scalia, Souter, and Ginsburg argued that the statute unambiguously means that broadband is, in fact, telecommunications.) In short, the FCC decided years ago that since carriers bundled what are undoubtedly information services in with broadband, that the overall “offer” was an information service. Now, the FCC has decided that just including information services along with broadband doesn’t change the regulatory character of broadband. This is a technical, nuanced point, and exactly the kind of thing that courts leave to agencies to figure out. The very same reasoning that allowed the FCC to classify broadband as an information service also allows it to change its mind and decide that it’s a telecommunications service--and this change is what gives it the authority to enact net neutrality rules. The carriers want to argue that the FCC somehow is not allowed to classify broadband as telecommunications, even though it had the power to classify it as an information service. But this argument has to overcome a very solid Supreme Court decision that says just the opposite. The FCC can point to plenty of changed facts that justify this change. Inconveniently for the carriers, the FCC is also allowed to simply decide that it got it wrong the last time. Agencies like the FCC have to follow a detailed legal process to come to their decisions--but they are not bound forever by past decisions that increasingly seem inappropriate. Even assuming the court is convinced that the Commission was well within their authority to reclassify wireline broadband as a common carrier, there is a whole separate protest from petitioners that they still can’t apply it mobile. Here again, notice will come into play. The petitioners will say that even if they were noticed that the FCC wanted to apply Title II to wireline broadband, they were completely blindsided by the possibility it might apply to mobile, too! However, the FCC and intervenors will likely counter that the providers had sufficient notice, since the May 2014 NPRM included a number of specific questions asking whether stakeholders thought the Commission should apply whatever rule it ended up writing to mobile as well as to wireline. Many of the stakeholder comments also discussed at length the specific issue of why Title II should apply to mobile. In fact, since the wireless companies themselves spent a sufficient amount of time commenting and lobbying against the FCC applying Title II to mobile up until the final order was released, they certainly must have been aware that this was a possibility, or else they wouldn’t have gone through the trouble. The other key argument is statutory. In addition to the general definition of telecommunications service used for wireline, there is a separate statutory provision dealing with mobile services. That provision (47 U.S.C. §332) divides mobile services into “commercial mobile radio services” (CMRS), which must be treated as Title II, and “private mobile radio services” (PMRS) which cannot be treated as Title II. The petitioners will say the FCC can’t classify mobile as a common carrier under Title II, since it is a “private” and not a “commercial” mobile radio services. The FCC addressed these arguments by expressly finding that mobile broadband is “commercial” or “the functional equivalent” of CMRS (yet a third category in the mobile services statute, which can be treated as Title II). Wireless carriers will argue that even if the court agrees with the FCC that wireline broadband meets the general definition of “telecommunications service,” the FCC is wrong that mobile is a “private” radio service and therefore cannot be classified as Title II – even if mobile broadband works the same way as wireline broadband. Remember the “other petitioner” I mentioned earlier, Alamo? This is their moment. Many of the service providers involved in the case have historically tried to make an argument against open Internet rules on First Amendment grounds. Notably, most of the major providers chose not to pursue that this time around - but since one secondary petitioner, Alamo, did, it will still be allotted a little airtime. The court barely paid this lip service when it came up in the Verizon case last time, so it’s anyone’s guess how far it goes this time (although the fact that the court only allotted 10 minutes a side suggests the judges are not too interested in this argument). There’s also an argument that Open Internet rules are a form of “taking”--sort of like eminent domain. But if this were true nearly every regulation ever passed by any agency would turn out to be unconstitutional. Because of their weakness and absurd overbreadth, these arguments are not likely to get much traction--but since there has been a recent tendency to use the First Amendment to protect corporate interests, they’re worth looking out for. Beyond these fundamental issues, there are a slew of more niche questions the court is likely to bring up. These are questions less about the core of the FCC’s rulemaking and speak more to how far the Commission’s authority extends to the fringes. So if they get a lot of attention at oral arguments, the FCC is probably in good shape - it means the court likely has accepted the basic rationale for the rule and is looking to next steps and more granular questions. Rule severability: This is the degree to which certain parts of the rules could be affirmed but others tossed out. This would be critical to preserve bright-line rules like no blocking and nondiscrimination if the court thought those were okay but disagreed with other portions of the Order. (For example, the Court concluded in Verizon that they could keep the transparency portion of the 2010 Order, while sending the FCC back to the drawing board on the no-blocking/no-discrimination portions, because they were “severable” from one another). The FCC went out of its way in the 2015 Order to specify that the various rules its contains are indeed severable. Interconnection: This is how far along the pipe the common carrier classification applies. The Commission stopped short of addressing the interconnection issue in the current Order (although some hoped they might), so expect the ISPs to complain about having Title II apply to them but not to other companies along the chain. Privacy, etc. : There are lot of other important consumer protections in Title II beyond the ones that enable net neutrality protections. In its Order, the FCC didn’t directly invoke them, but also did not foreclose its ability to use them at some point in the future. It’s possible the court may bring these up at oral, as well. POST-MATCH ANALYSIS: What happens next? There will be the usual coverage following the orals depending on how they go (and we’ll be in the thick of it - be sure to come back here after for a PK rundown!). Then we play the waiting game until the court issues its decision. Then, there are a whole bunch of new factors at play as to what happens next. In general, it’s likely that no matter who wins, and on what grounds, there will be an appeal from the losing side. It may also not be a full win or a full lose, depending on where the court comes down on the disparate arguments we’ve discussed. Public Knowledge is optimistic that the Commission’s rulemaking was founded on sufficiently strong legal authority coupled with a robust record to give the agency its best chance of success. Let’s just hope the court agrees.